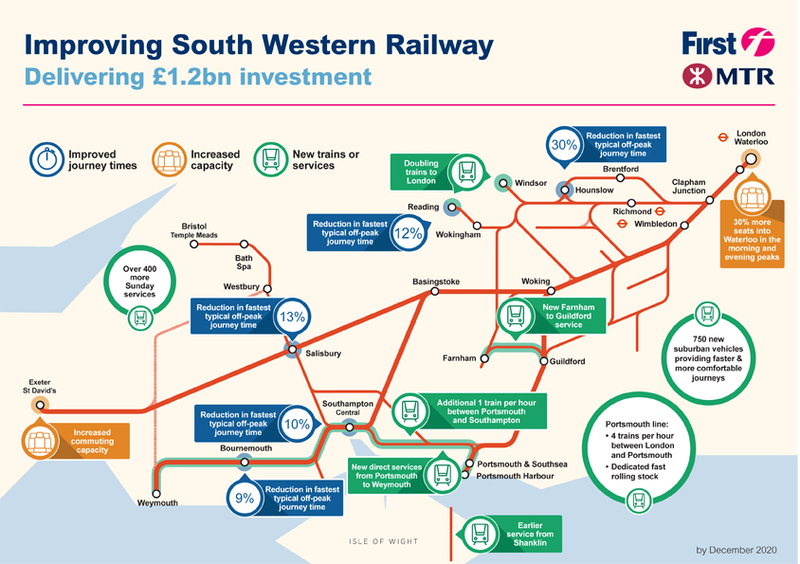 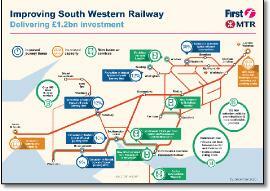 Now with Cranbrook and new Yeovil services. 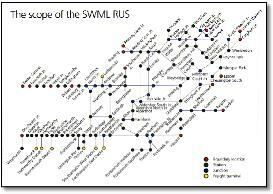 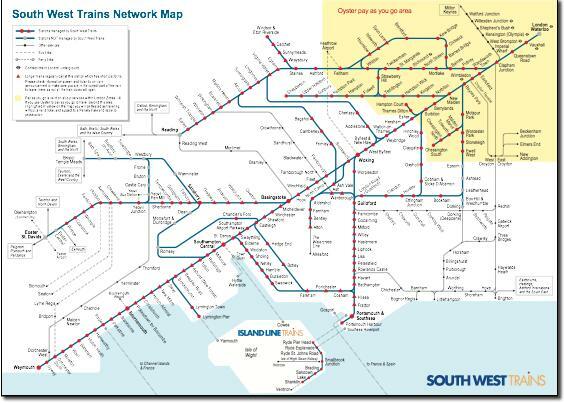 Pity the route through Romsey is shown so indirect. 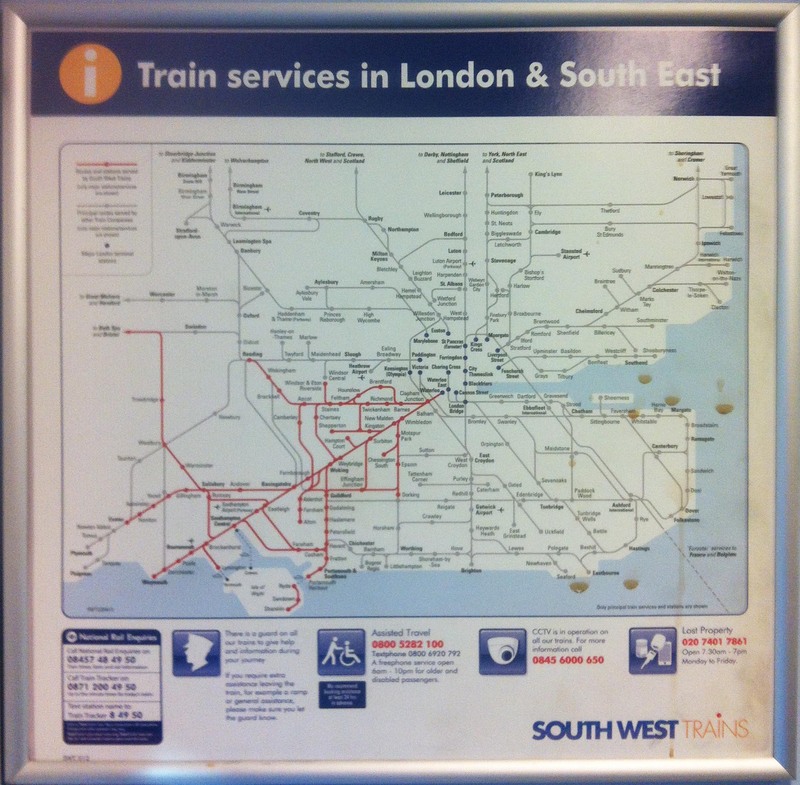 Such a shame that an earlier poor design has been perpetuated. 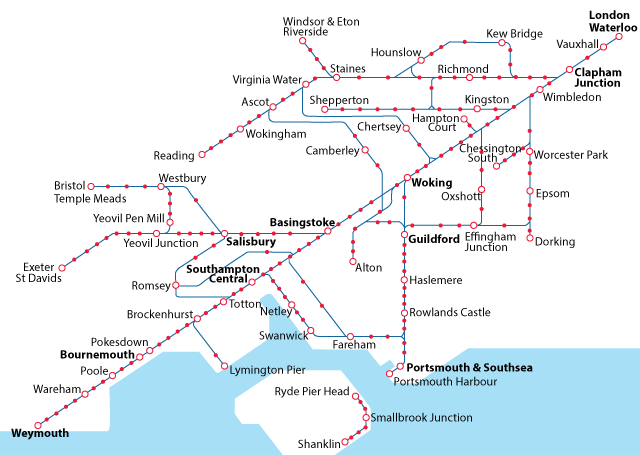 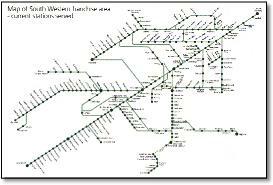 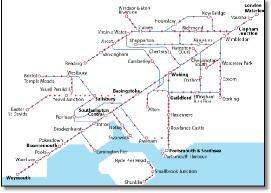 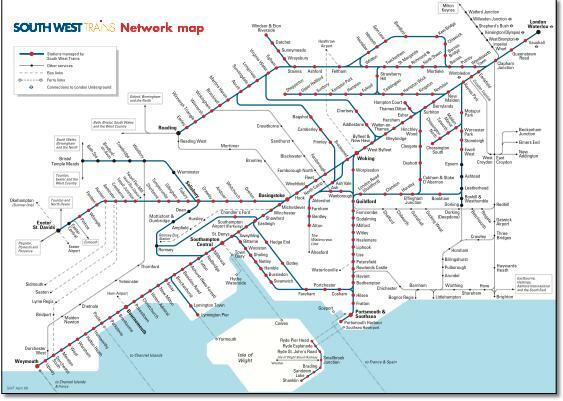 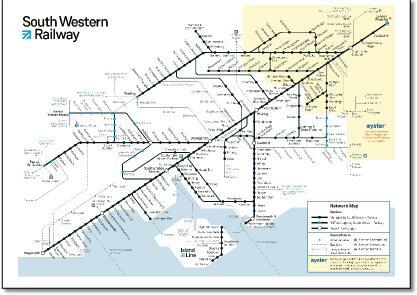 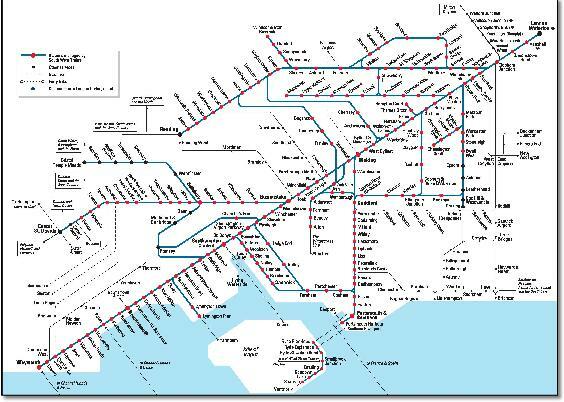 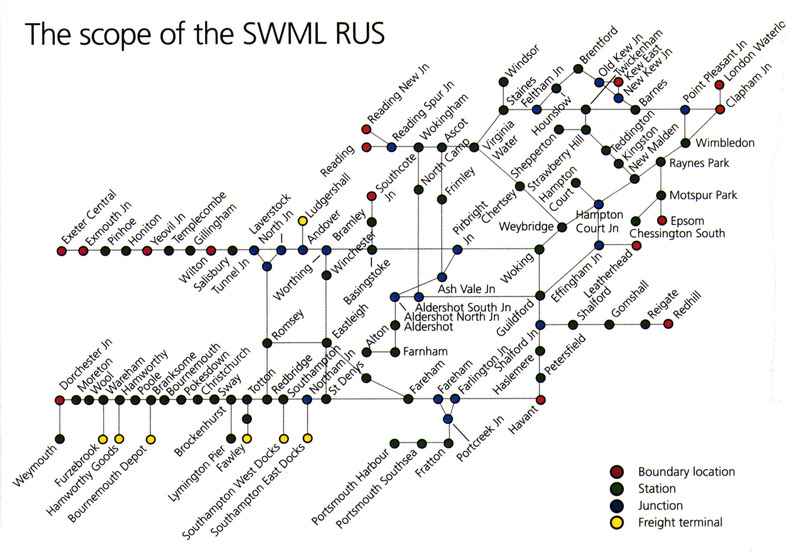 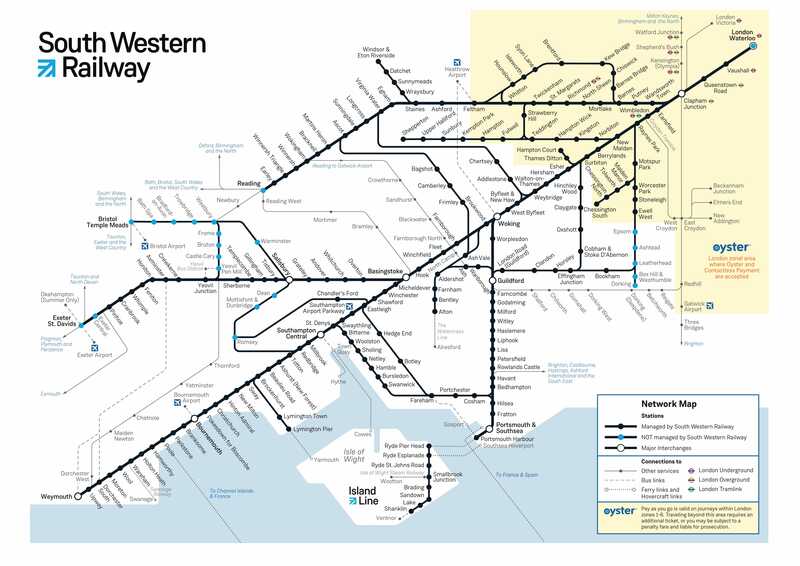 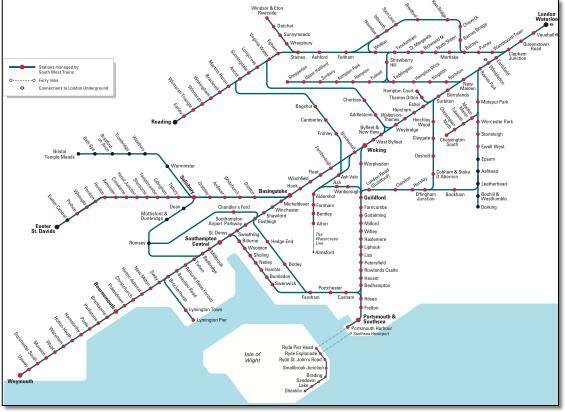 The distortion on lines that provide orbital connections between the radial routes is clearly evident, particularly on the Chertsey and Camberley branches and around Southampton at Romsey. 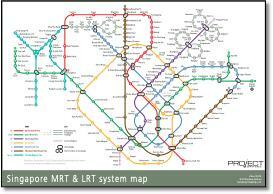 Can a user take these roundabout routes seriously?. 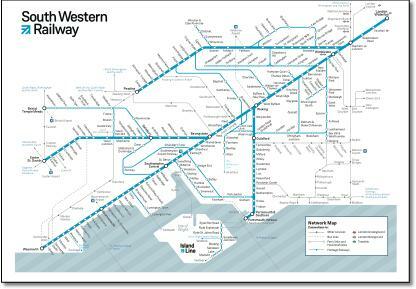 The Isle of Wight has acquired a new shape. 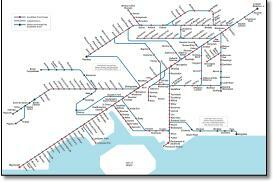 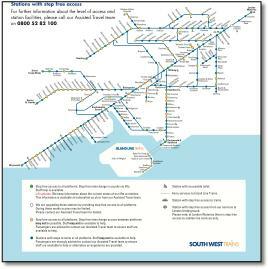 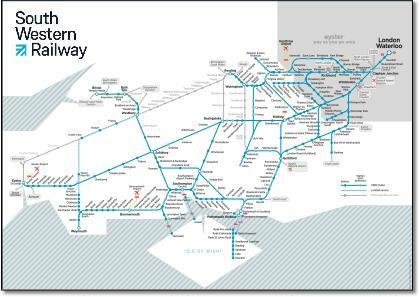 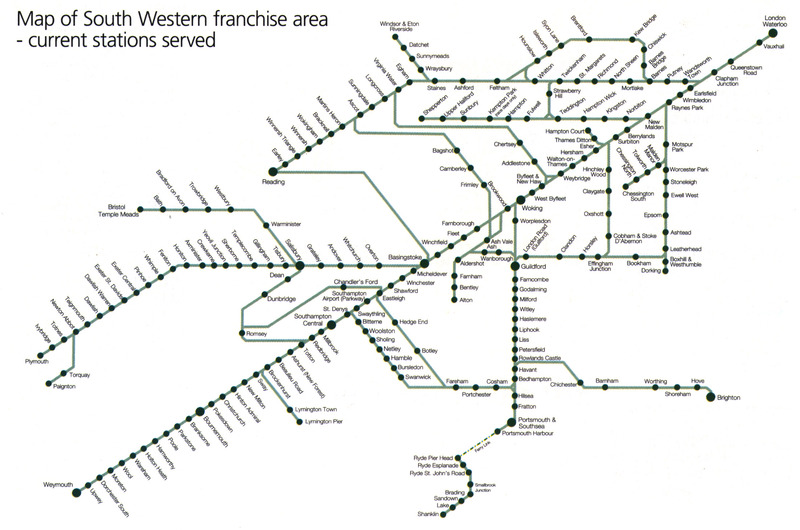 And why is Ryde where Brading is?